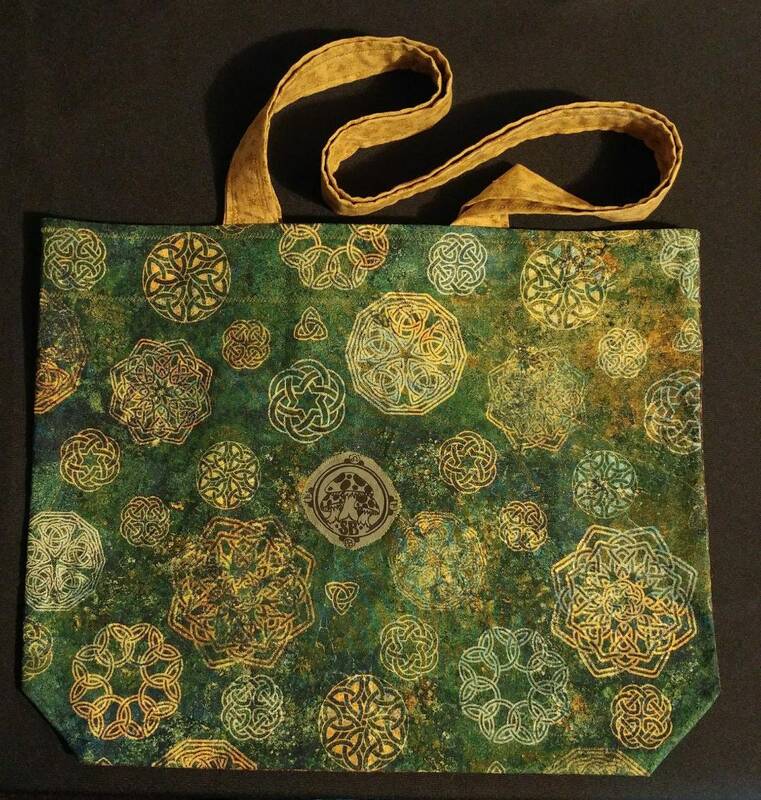 Re Usable Market Tote. 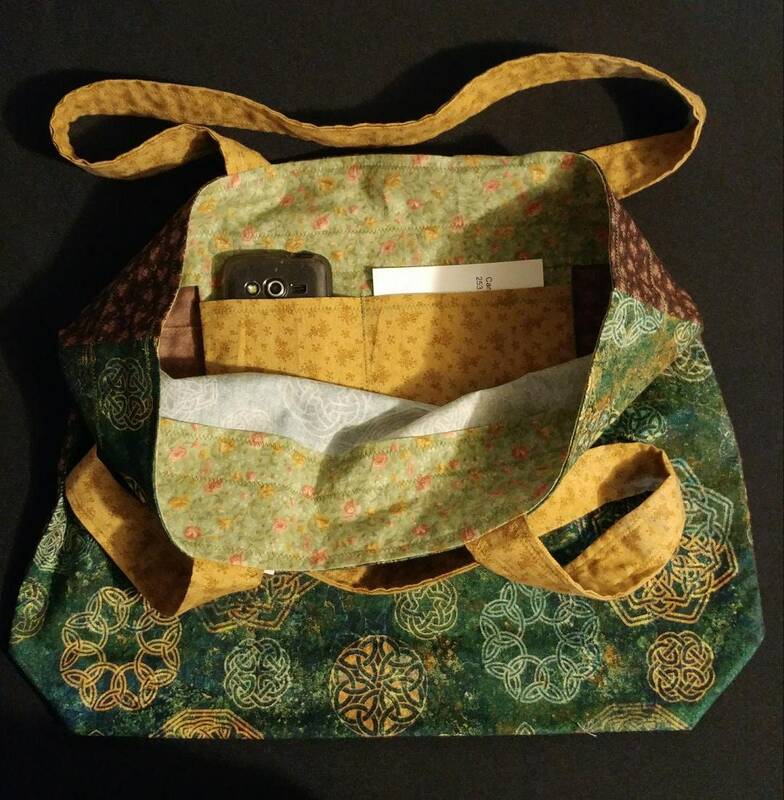 This sturdy bag is made with scrap and new fabrics. Handles are long for ease of use. Double pocket inside. Made with the Farmer's Market in mind, but great for just about anything you have going on! Perfect for shopping in plastic bag ban areas. Folds up small to keep in the car or tucked into another bag. Washable and ok to iron. Irish knot work patterns on the green side. 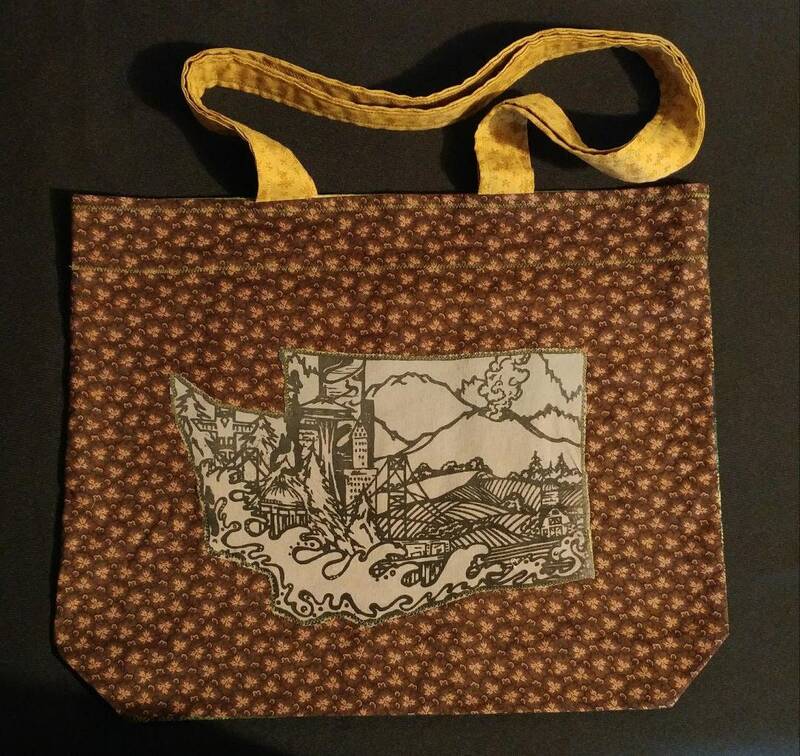 Flowers pattern the other side with a print of our Washington State design. All fabrics, except the green knot work, are scrap.